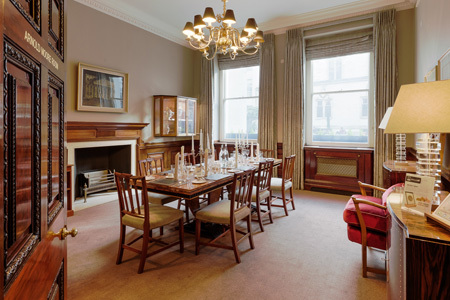 © 2019, Furniture Makers' Hall by The Furniture Makers' Company. 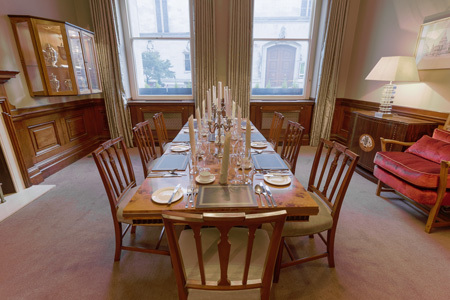 The Arnold Moore Room is a simple and elegant wood panelled room, which is ideal for dining, celebrations or meetings. On the ground floor, it has natural light from windows at the front of the building, looking out on the picturesque Dutch Church. 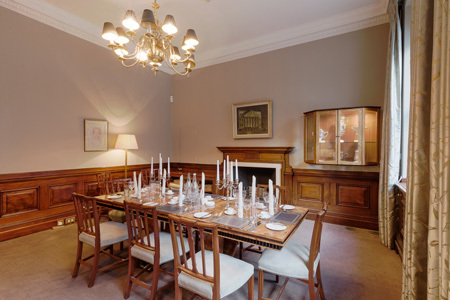 The intimate ambiance of the Arnold Moore Room is well suited to private meetings, interviews, small workshops and presentations for up to 15 people. 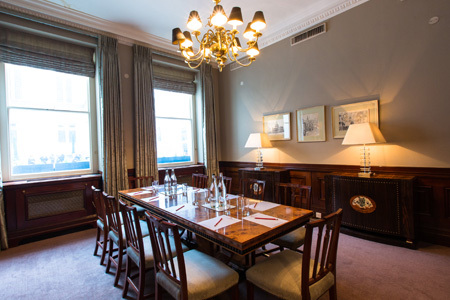 The room has WiFi and telephone facilities and other business services can be provided but the on-sire event management team. 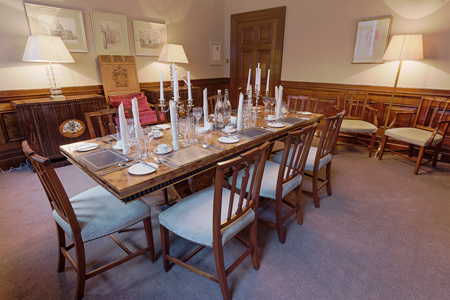 The room provides a perfect setting fro lunch, dinner or reception for 10 to 20 guests. 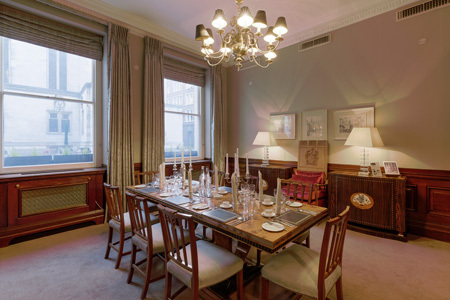 The Furniture Makers’ Company is the City of London Livery Company and charity for the furnishing industry. We support those in need, educate for the future and inspire excellence.